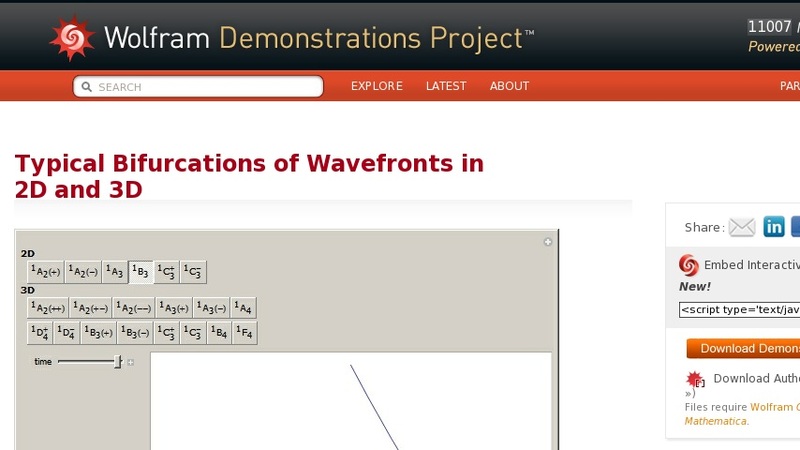 This Demonstration shows all "generic" bifurcations of boundary wavefronts in 2D and 3D. You can control the time and view point. Check "initialize" to change the type of wavefronts.